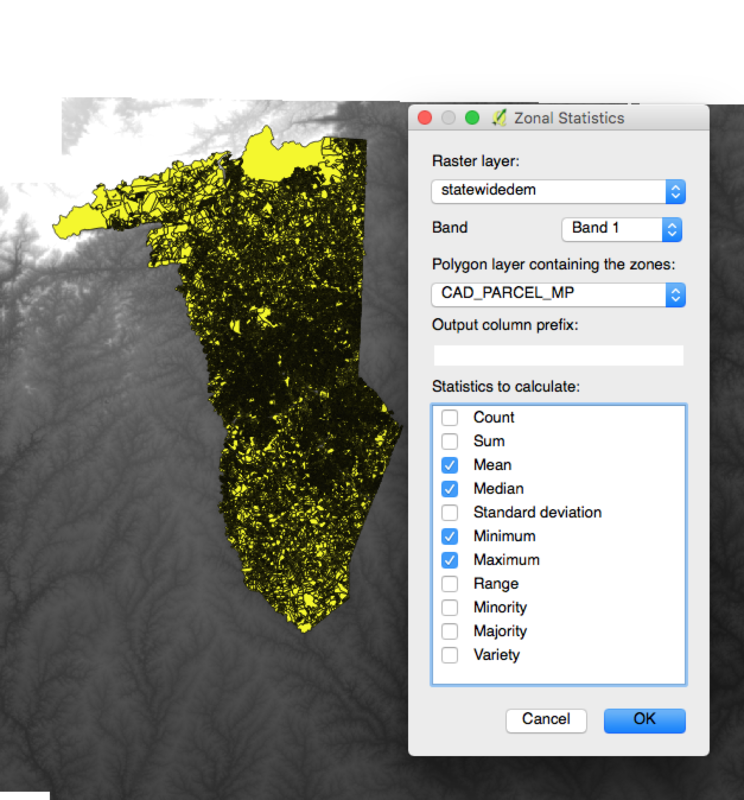 [SOLVED] QGIS Zonal Statistics returns empty? Does anyone familiar with the QGIS Zonal Statistics tool know why stats calculations might return empty? 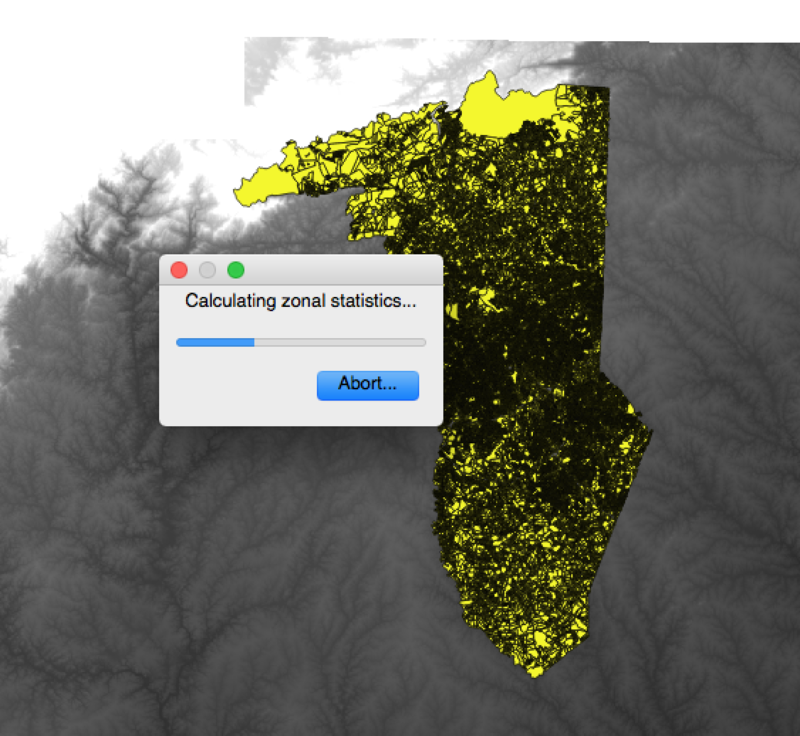 Desired result: Zonal Statistics calculates elevation on all shapes. It is interesting to know that fix geometries solved this issue, thanks to Volta. My suggestion is (was) to reproject the polygon layer to match with the DEM layer; since most FAQ about Zonal Statistics are related to different CRSs between raster and polygon layers. 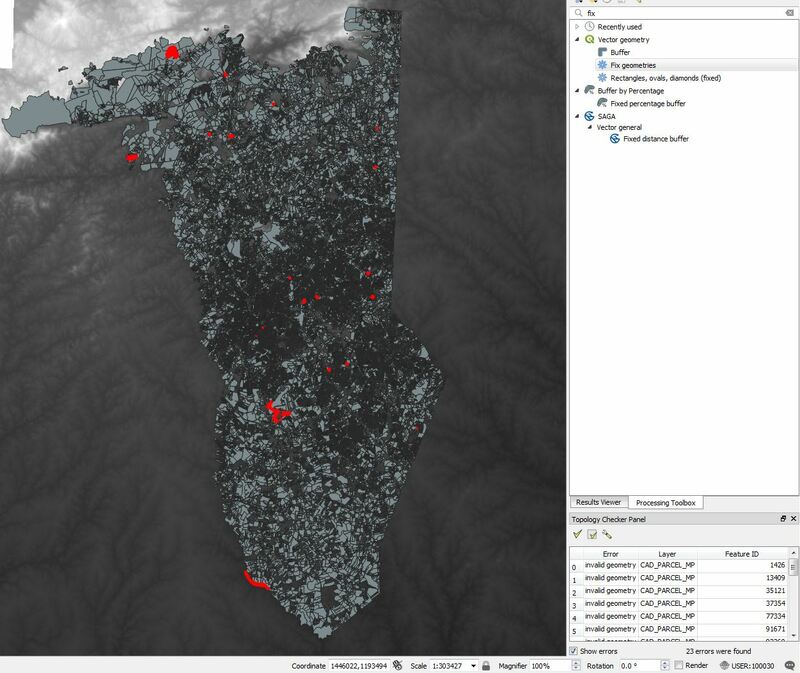 A quick test, reprojecting the CAD_PARCEL_MP to EPSG: 2029 *NAD27(76) UTM zone 17N* looks OK. Seeing the comment by ndawson, my last line just in case should be just in case the work has to be done in pre-QGIS 3. The CRS issue is gone now. This is no longer required in QGIS 3.2 - if you have different CRS between the raster and vector, it will automatically be handled correctly. Your file "CAD_PARCEL_MP have some topology error (check with menu Vector >"topology checker). 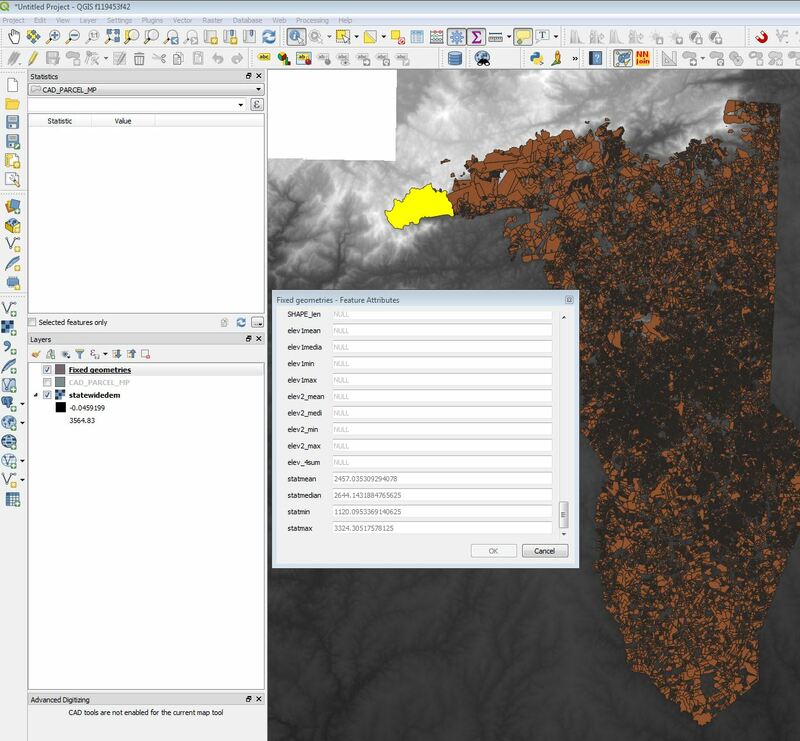 [SOLVED] Automating Zonal statistics in QGIS? [SOLVED] Plotting and analyzing extracted elevation data in R? 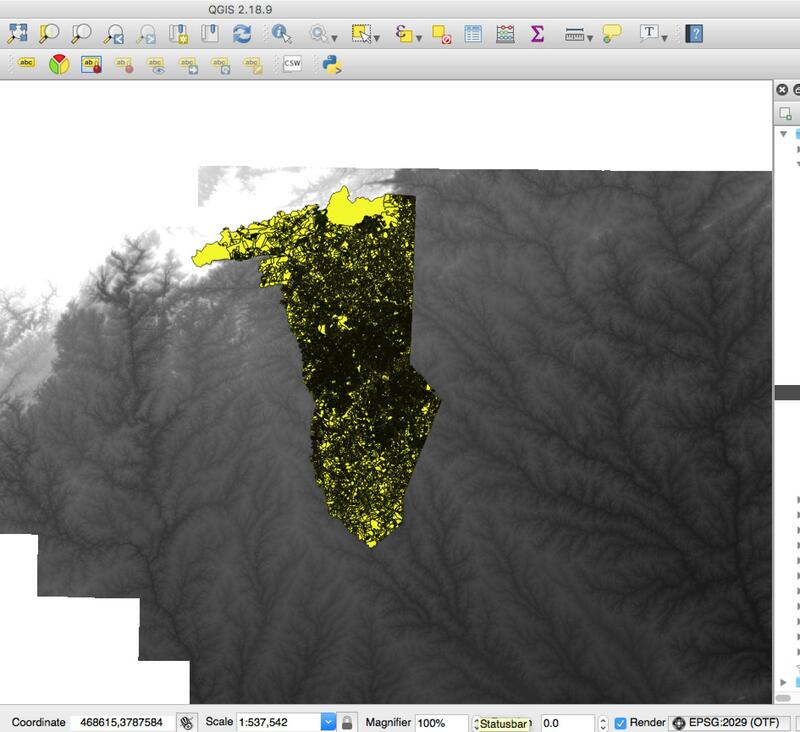 [SOLVED] How does QGIS Zonal Statistics handle partially overlapping pixels? Using zonal statistics code from Python GDAL Cookbook? [SOLVED] How to generate Non-smooth/crude Contour Lines in QGIS?